Madu Asli HPAI Multiflora is a high-quality natural honey without any additive and high in nutrients. 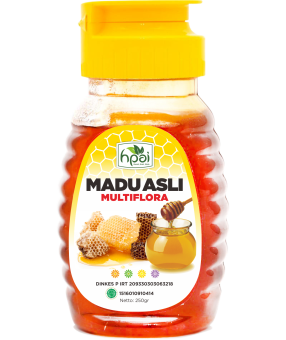 Madu Asli HPAI Multiflora is produced by an extraordinary honey bee Apis mellifera enriched with vitamins, minerals, enzyme, protein, hormones, and other antimicrobial and antibiotic substances. It has passed a strict quality control and has a low water level to prevent fermentation process.